For those of you who have requested a review copy or are among the ten lucky winners of the Goodreads book giveaway for this book, please be assured that you will be getting your copy from the publisher as soon as they get the shipment they are awaiting. The way the book distribution system works, shipments often go out from the printer directly to the booksellers before even the publishers or the authors get theirs. The book industry is changing so fast anyway that every time I have a new book released it seems there is a surprise of one kind or another. For those who have been patiently waiting for this book for so long, my coauthor Scott Finazzo and I again want to thank you for your continued interest despite the delays and setbacks. 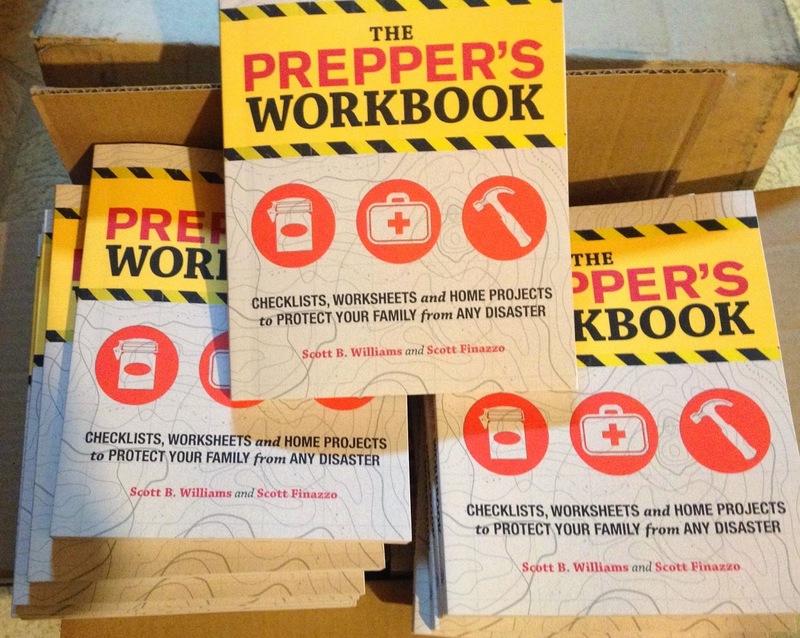 We have gotten word from our editor at Ulysses Press that sales of this book have been fantastic, no doubt due to the continued interest so many people have in doing all they can to be prepared for the unexpected. We hope you will find it useful in your own preps once you get your hands on a copy, and that you will use it as intended, as a workbook to be written in, marked-up and customized to your needs.